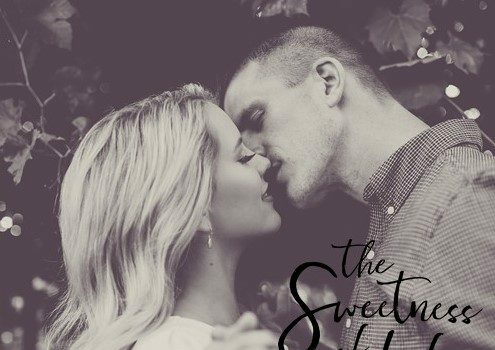 Review – The Sweetness of Life by Kathryn Andrews – #5Stars!!! Their distaste for each other is mutual. Two weeks is all they need to survive; two weeks can change everything. Where do I begin with this story…? I literally loved every page. From start to finish I was enthralled into Shelby and Zach’s story. Kathryn Andrews has delivered an excellent story, written both beautifully, and captivating. She has this magical way with words that has your heart so full of love, and admiration, it almost feels like it could burst at any moment. Shelby is adorable; she’s talented, creative, honest, determined, and has a strength so strong, it’s hard to take down her walls. I loved her bubbly, and confident personality, how happy, carefree, and friendly she was. The friendships she had with Meg and Lexi were wonderful, they were loyal, and supportive to each other, ready to give the other a push in the right direction if needed. Zach is an enigma, I wanted so desperately to understand him, and discover why he had the views he had; when at the same time I felt I should be wanting to crawl into my kindle and slap him for being so rude, and horrid towards Shelby. He had this underlying charm about him, he was arrogant towards Shelby, and yet to everyone else he was this sweet, caring, troubled man, that I so desperately wanted to hug. The way that Kathryn Andrew’s described each finer detail had me living every taste right along with Shelby. I could also picture the beautiful places Shelby described. I would love to experience the things Shelby did, and cook as amazingly as she does. I will definitely have to check out the recipes suggested at the end of each chapter, what a wonderful idea to add to a book. If it wasn’t for me needing to devour this story, I’d have checked out each recipe as I read. This story is for ALL contemporary romance readers. You won’t regret buying this book!